Eating disorders are regarded as ‘complex mental health illnesses’ as there are many different types and they affect each person very differently. Let’s get all the definitions out of the way so we can delve into this concept a little deeper. Anorexia is the most common eating disorder and is when a person tries to lower their weight as much as possible. Bulimia is when a person goes through periods of binge eating and then is deliberately sick. And finally binge eating is where a person feels compelled to overeat large amounts of food in short amounts of time. Eating disorders are sometimes overlooked, but it’s very important to recognise the significant impact such a condition can have of an individual’s psychological and long term wellbeing. 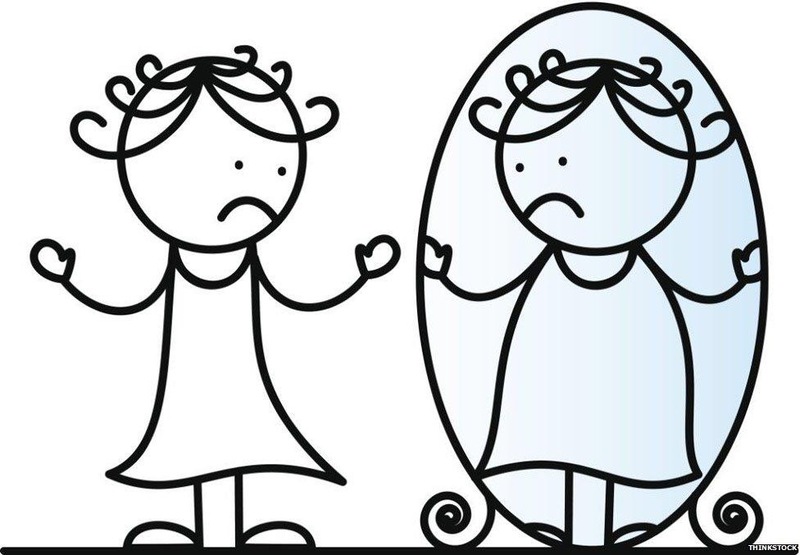 Speaking specifically about anorexia, the disorder can have many fatal effects on the person including an abnormally slow heart rate and low blood pressure, increased the risk of heart failure; reduction of bone density (osteoporosis), which results in dry, brittle bones; muscle loss and weakness and dehydration, which can result in kidney failure….the list goes on. Eating disorders truly are a prime example of when a mental health illness becomes a very physical issue as well. Symptoms of an eating disorder can quickly become life-threatening. According to the National Institute of Mental Health, sufferers of anorexia are 18 times more likely to die prematurely, so getting treatment for an eating disorder is extremely important! Because of the complexity of the condition, it is usually very difficult for people with eating disorders to get better on their own. Professional intervention and support is therefore vital to help the individual regain a balance of normal eating habits as well as to reduce the chance of any long term health complications. Why are more and more people being affected by eating disorders? Did you know that the number of people suffering with an eating disorder is rapidly increasing? Anorexia is experienced by around 1 in 250 women and 1 in 2000 men. The condition tends to develop around the age of 16 or 17 and many people think that the media has a huge part to play in this problem. Genetics can be a huge contributor to developing an eating disorder, and alongside this low self-esteem and criticism by others can escalate the problem. Overall I do think the main factor fuelling the prevail of eating disorders is the media. This includes celebrity gossip, social media and just the internet in general. There are actually websites which are dedicated to encouraging young women with eating disorders to continue to manifest their life-threatening illnesses! Such pro-anorexia and pro-bulimia websites offer tips on how to avoid food (drink ice-cold water or black coffee, chew ice cubes, brush your teeth, go for a run, look at yourself naked and pinch your fat, or clean something dirty until you lose your appetite). They also encourage young women to create a ‘Fasting Journal’ as well as post images of their ribcage or shoulder blades as ‘inspiration’ to others. Just imagine how damaging a website like this would be for someone who’s already insecure about their eating habits, or even someone who suffers from an existing eating disorder! This really is severely distressing! The advice on these websites even extends to methods in which you can hide your eating disorder from your family. Seeing things like this, alongside the increasing influence of celebrities and concern over body image in today’s society explains why that the number of teenagers being admitted to hospital with eating disorders has nearly doubled in just three years, as reported by the NHS. Some of these websites even blatantly claim that anorexia is a lifestyle choice rather than a medical condition, arguing that the individual’s right to refuse food should be respected. However, anorexia is psychiatric condition meaning that it isn’t necessarily a choice as the individual ultimately gets addicted to this style of starvation. It’s also very difficult to reverse the process of such a complex condition like so. What’s the problem regarding services available for eating disorders? I recently read a article which really shocked me about an anorexic patient who had to travel 400 miles in order to be treated or her eating disorder. With anorexia being a mental health condition, the emotional difficulties that both the patient and her parents would have suffered through during this time is completely understandable. Waiting times are incredibly long for such treatment with 1 in 10 people with anorexia dying prematurely either through suicide or organ failure before receiving any treatment. This is a shocking statistic! It makes us wonder whether making services which can be accessed more easily and more quickly could change this. Beat has reported receiving an increasing number of critical calls from patients having to wait 2-3 years for treatment. The damage the eating disorder could have had on the patient during this time is deeply worrying. If cancer patients were placed on such extensive waiting lists it would not be regarded as at all acceptable as cancer severely effects the quality of life and chance of survival with its progression. In the same respect, anorexia also deteriorates with time and increases the chance of sudden death as more time passes. This matter should therefore be taken just as seriously as other physical conditions. The professor of eating disorders at King’s College London said, “certain services only see people when they reach a certain level of severity with their eating disorder. People might be told that their weight isn’t low enough to be seen, that they need to get sicker to get seen.” This is really concerning, as if a mental health patient is seeking help they should be supported in every way possible rather than be told that they their condition isn’t severe enough. It takes courage and a great deal of strength to get to the stage where you are able to recognise that you need help and then actually ask for it. Do what happens then, you’d just get turned away? As I mentioned before, eating disorders are very subjective so one person’s experience cannot be correlated with another. Telling someone that their weight isn’t low enough for treatment is undermining and dismissive of their struggles. I actually read a story of a teenager who was encouraged to lose even more weight after she was told her BMI wasn’t low enough for treatment. Another issue with this ‘BMI cut-off for treatment’ is that, by waiting for these patients to get worse, you are also allowing them to increase their chances of developing a long term health condition. The earlier a patient with an eating disorder is supported, the greater their chance of a full recovery! A very useful article on this issue, that I found to be an interesting read is available to be read here. Next articleOtherLINK BETWEEN SYNAESTHESIA & AUTISM?